The mega-hit musical Hamilton is a hit across America and the United Kingdom. In gearing up for the show's Puerto Rico engagement, Tony-winning creator and original star Lin-Manuel Miranda paid a visit to The Late Show with Stephen Colbert to talk about the show's success throughout the world. Colbert asked Miranda about British audiences' reactions to the West End transfer, currently playing to sold-out crowds at the Victoria Palace Theatre. 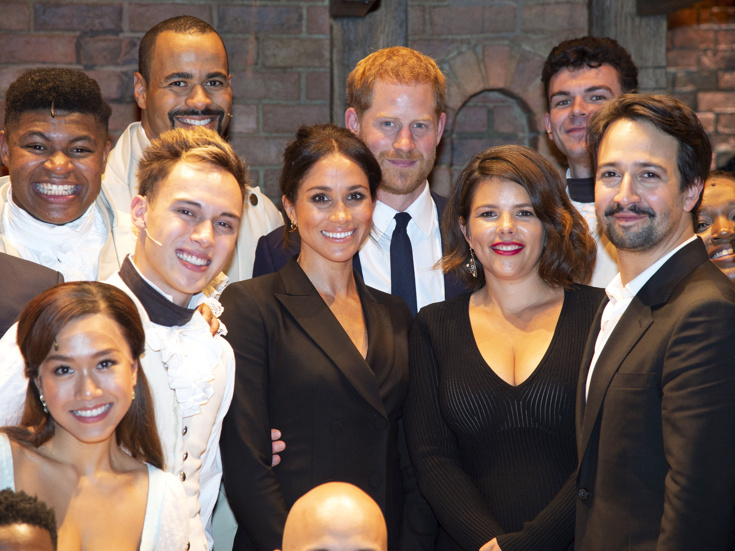 Miranda said that he actually sat next to Prince Harry while he watched the show, pointing out that seeing Harry experience the character of King George onstage was especially surreal. "That's his sixth-great-grandpa," noted Miranda, adding that they were "sitting in a theater named after his fourth-great-grandma." Watch Miranda below and make plans to see Hamilton for yourself.